So, for this week's Pic of the Week I thought I'd go with a food theme - something different but tasteful (chuckle, I'm so funny) despite there being many stunning and colourful pics of Mardi Gras available. And now for Pic of the Week. 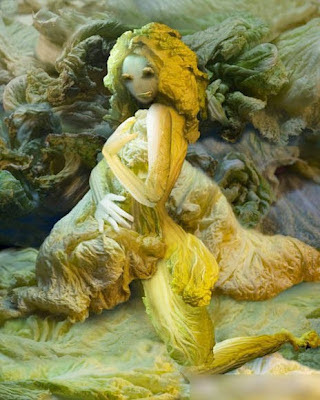 Believe it not, this picture comprises of nothing but cabbage. I was gobsmaked. Unfortunately I couldn't find who the artist was though. Still, enjoy and have a fab weekend! Oh my gosh, that cabbage thing is amazing! 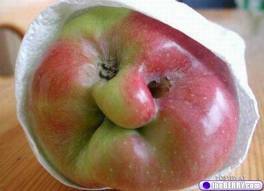 I love the grumpy apple. It's like looking in the mirror. LOVE all these pictures of food! The last one completely done from cabbage is amazing. Thanks, DRC! 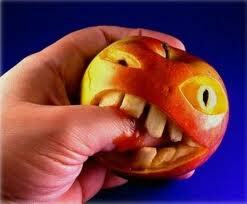 I love creative food. My Friday Flash this week has a wonky picture of a giant fungus. Oh, yeah!The cabbage is cool. Wow! Those are some amazing food sculptures. The cabbage one is especially mind-boggling. 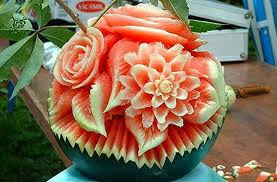 It fascinates me when people are so creative with food!